I’ve grown up loving water – whether that’s on it or near it. There is something about simply gazing out at its calm, relaxing surface or watching a sea or Great Lake in turmoil that speaks to me. This probably goes back to my earliest days: I was born on the shores of Lake Superior and developed my skills on the water as a kid growing up in Northern Ontario. Over the years my boating experience has advanced from canoeing and sailing to operating cottage boats, a series of cruising boats and now a trailerable boat to explore new waters. Along the way, January 2004 to be specific, my love of boating and experience on the water led me to my dream job: being paid to boat and cruise for PowerBoat Television and Boats&Places magazine. The show has certainly given me an unbelievable opportunity to expand my boating knowledge of different boats and models as well as boating destinations. The past 12 years of filming for the show has taken me across Canada and the United States including Puerto Rico and the Caribbean. One day I plan to plot all those places on a map and log the various boats. When I’m out among boaters I am often asked, “Which boat is your favourite?” or “Where is your favourite boating destination?” – both tough questions, but after much deliberation, I can share with you my favourite destinations on the water. 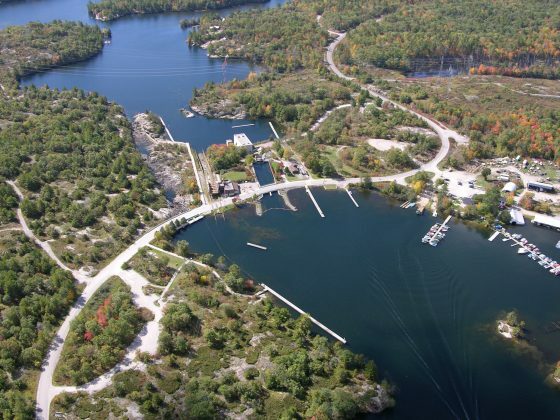 The Trent-Severn Waterway is a chain of lakes, rivers and canals stretching almost 400 kilometres from Lake Ontario to Georgian Bay through Trenton to Port Severn. The landscape of the waterway changes multiple times; it transitions from farmland and open fields to the rocky outcrops of the Kawartha Lakes and the granite of the Severn River. The communities are diverse as well. You will encounter sleepy villages, seasonal cottage country towns with great shops and restaurants and larger communities like Peterborough, Barrie and Orillia. Truly a rich blend of natural and cultural resources, this route through the ages is a heritage corridor that is now protected as one of Canada’s national historic sites. It’s this look back into the past, coupled with the unique locks and scenery that makes this one of my favourite boating destinations. I’ve travelled this wonderful waterway from end to end several times. Living close to one of its largest lakes, Lake Simcoe, has allowed me to head out on it for trips to Peterborough and the Kawarthas multiple times. Now that I’m a trailer boater again we’ve enjoyed launching at various lakes and communities for fun weekends exploring select sections of the waterway. 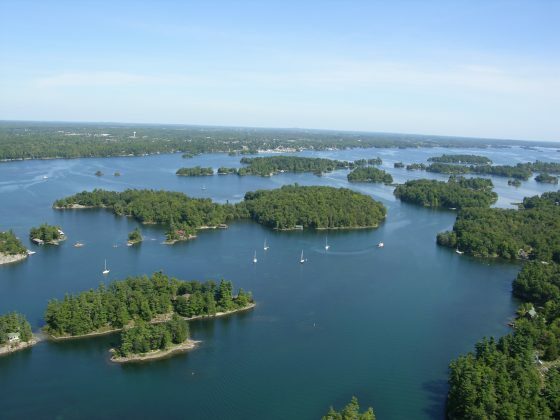 The Thousand Islands and St. Lawrence River from Kingston to the Quebec border really provides something for everyone. 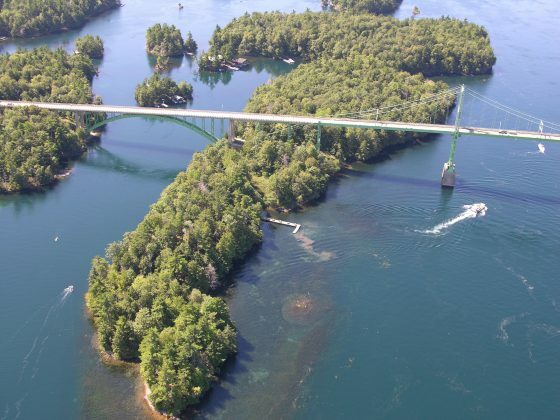 Whether it’s cruising, fishing, sightseeing, history, geography or cultural heritage you seek, you will find it all packed into one of the most scenic waterways in North America. Man made lakes, huge seaway locks and boating in close concert with giant ships, makes for interesting cruising around the Thousand Islands. While the area stretches from Kingston to the Quebec border I prefer the waters, channels and island groups that can be found between Kingston and Rockport. Contained in these waters is a majority of the islands as well as multiple anchorages and the docks and shore facilities of the Parks Canada and St. Lawrence National Park Islands. As a day boater or cruiser there are more places to explore than you can cover in one summer. 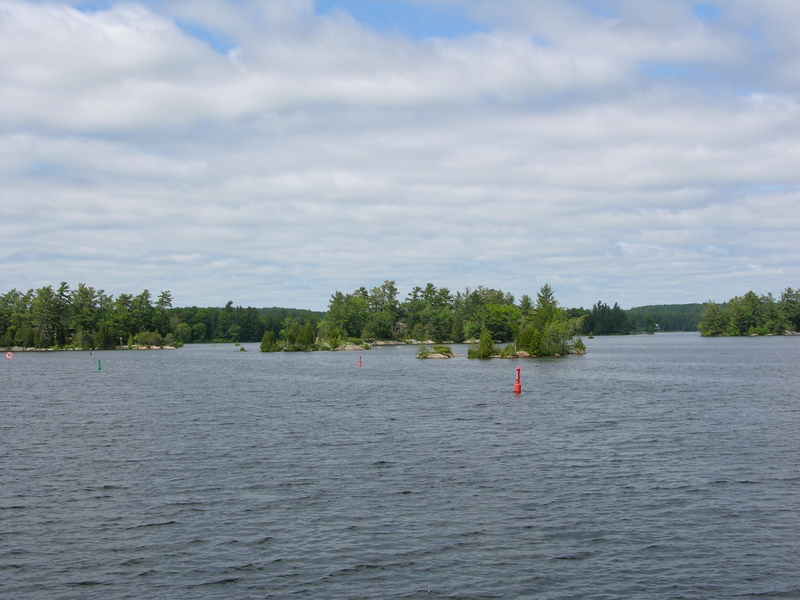 I enjoy the route through the area from Kingston along the Bateaux Channel from to Gananoque. From here you can jump off to the Admiralty Islands and Lake Fleet Island Group. 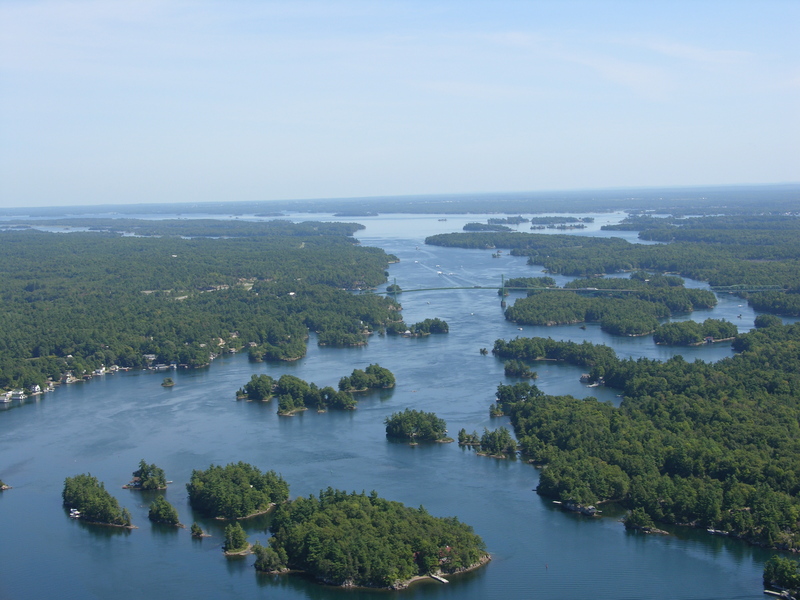 The other option, depending on winds and the capabilities of your boat, is to follow the Canadian Middle Channel along Wolfe Island to the Admiralty Islands and into Gananoque. 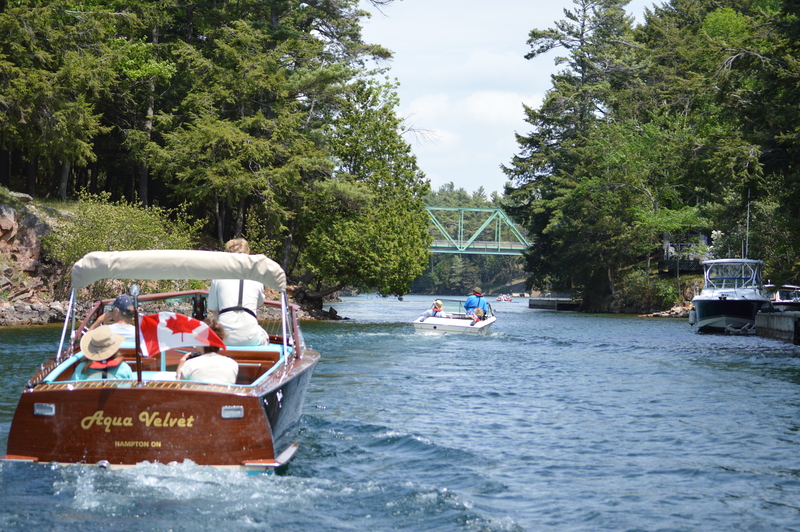 This past summer, several of us towed our classic boats to Gananoque to spend three days exploring the waters. 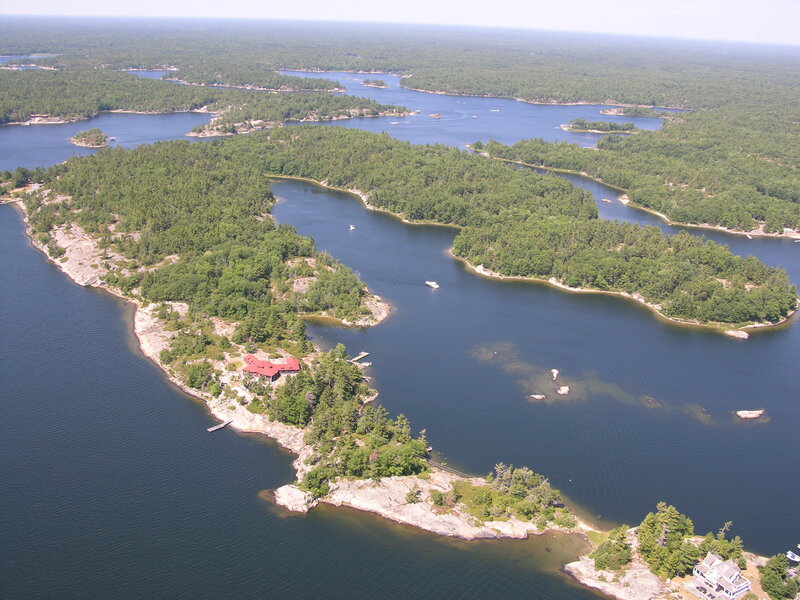 Gananoque is ideal for this with many hotels, resorts, B&Bs and marina options in town and along the Thousand Islands Parkway. From here one can putter around the Navy Islands and head down the river to Ivy Lea. Just past Ivy Lea, as you head into the Thousand Islands Bridge area, the river really begins. You’ll know when the current grabs you. While there are two main routes under the bridge on either side of Georgina Island, I love taking my time to explore the smaller local routes, idling by the 100 year old cottages so unique to this area. When you’ve explored the anchorages and narrow channels you can head to Rockport or work your way around to Boldt Castle, which is really worth the trip. At this point you are checked into the U.S. so I love to head across to Alexandria Bay to explore the shops and eateries along the main street. I’ve been fortunate enough to travel this waterway by cruiser, by Sea-Doo and this past summer, a beautiful section of the canal with members of the Trent-Severn Antique and Classic Boat Club. We so enjoyed our time on the Rideau that plans are underway to spend another week there this coming August. So what makes this Canal so special to me? It has to be the scenery, the quiet seclusion of staying at the many isolated locks and the history of the region. 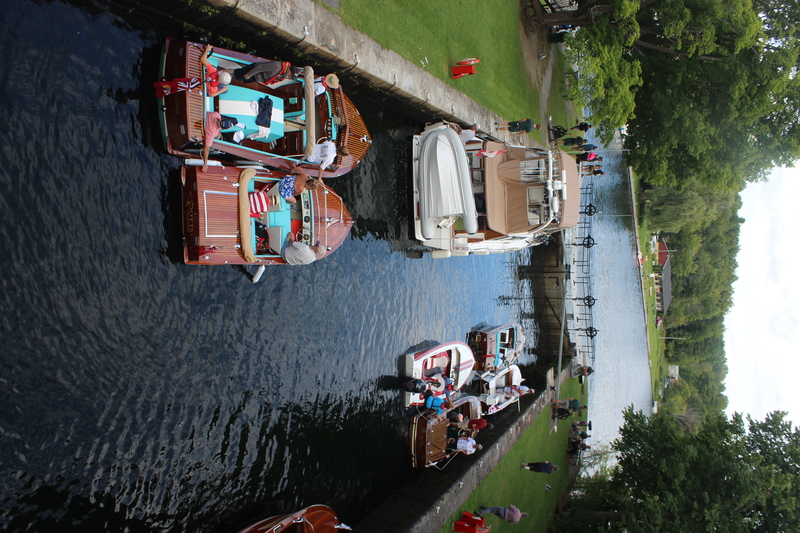 Travelling its 200 kilometres will take you through 47 historic locks. What’s unique about this “canal” is that there are only 32 miles of actual canals. The balance is comprised of interconnected lakes and rivers, controlled by dams and the locks. The communities along the canal offer glimpses into to Canada’s past and its development through the early 1800s. History and historic sights abound from Kingston to Ottawa. Boating on the canal, you’ll see the fortifications at some locks, illustrating the military routes and reason for the canal’s construction. A great example of this can be found at Jones Falls. Wherever you cruise on the Rideau there is plenty to see and do. From exploring Ottawa while tied to the canal wall above the flight locks to enjoying the old resorts and inns along its length. 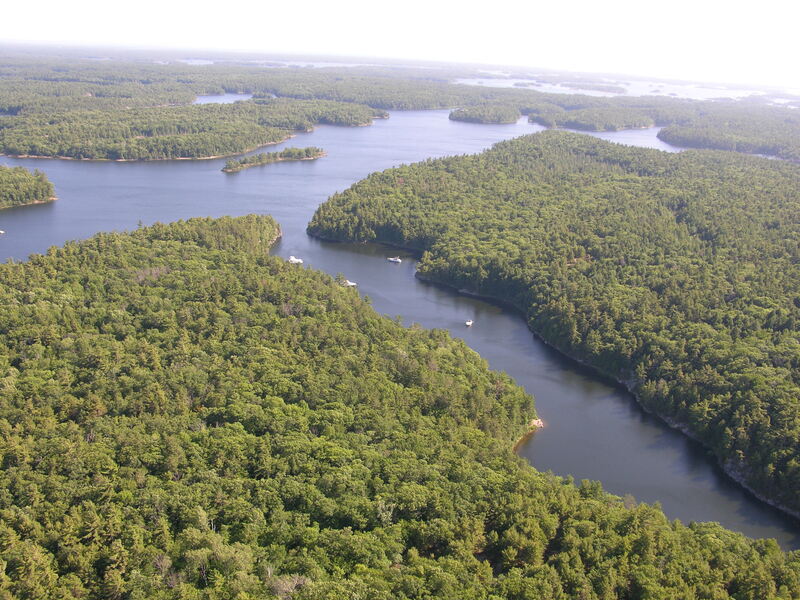 I especially love the southern half of the Rideau that is comprised mostly of lakes. 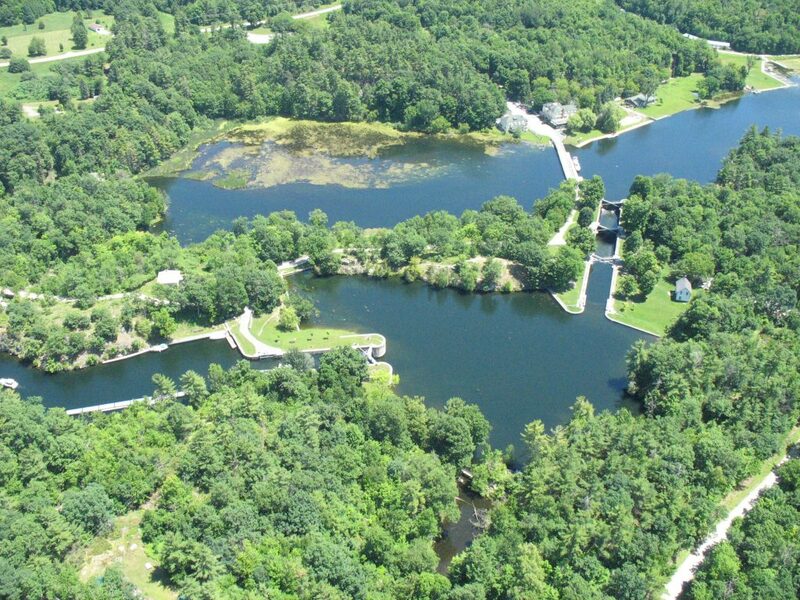 Last summer we stayed at Jones Falls and hope to explore the canal from Westport this summer. Maybe it’s my love of the ocean smell or the quaint villages steeped in maritime heritage, but I fell in love with Nova Scotia’s South Shore, more specifically St. Margaret’s and Mahone Bays, on my first visit. I enjoyed my time there both onshore and on the water so much that I went back a year later to share the experience with my wife. Of the three bays, St. Margaret’s is the most open. Depending on winds, large waves move in from the Atlantic making for some rough cruising. Pictures of the iconic Peggy’s Cove Lighthouse with waves crashing on the rocks can attest to this. If the summer winds are calm, exploring the bay’s rocky shores and scattered beaches is a great way to spend a day or two. As you cruise the picturesque shoreline, small bays and coves play host to villages and wharfs, some with active fishing boats, many with just pleasure craft at anchor. Some of the highlights for me included Hackett’s Cove, Long Harbour, Schooner Cove and St. Margaret’s. 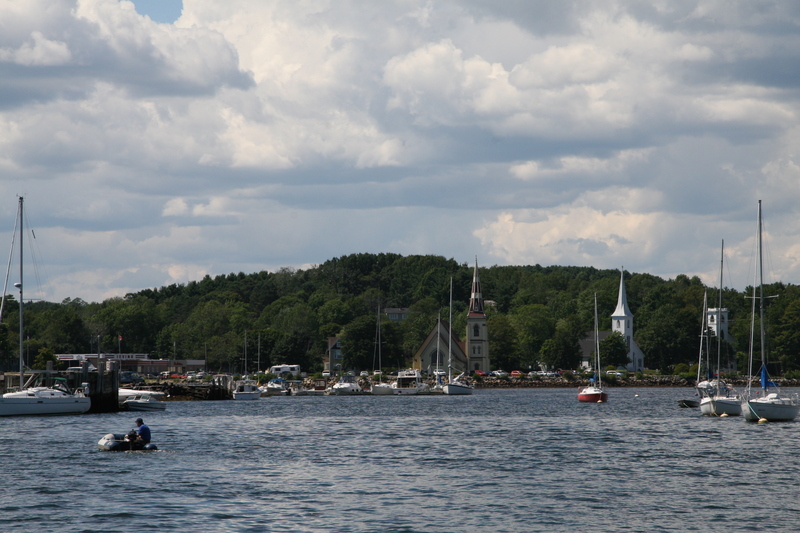 Next door is Mahone Bay. Unlike St. Margaret’s Bay,Mahone is well protected from the Atlantic and is dotted with islands. The destinations to visit here are numerous. 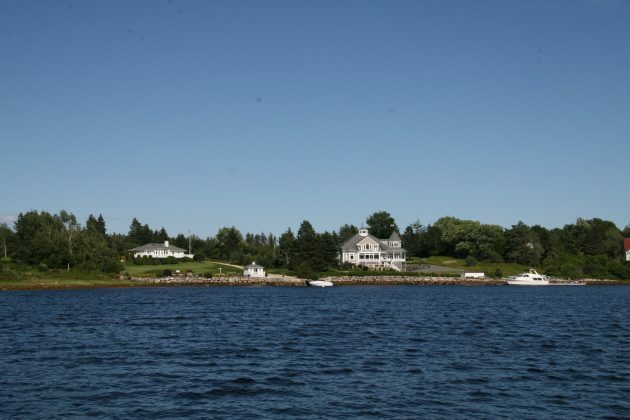 A cruise out to Big Tancook Island, one of the only active fishing villages still inhabited on the South Shore, is a must do. Some of Nova Scotia’s prettiest and busiest summer destinations are located here–like Chester. 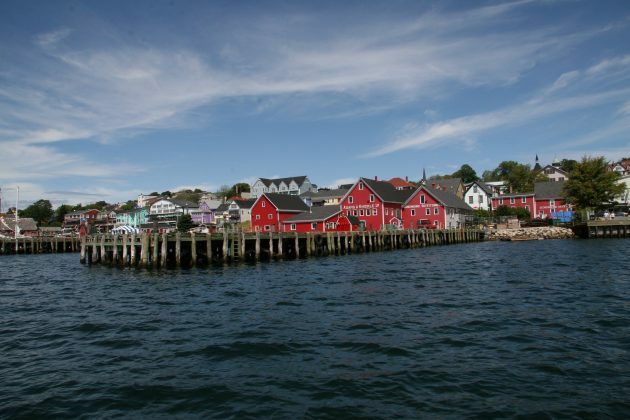 It’s a picturesque, quintessentially Nova Scotian seaside village. All the clichés apply: it is pretty, colourful, historic and charming. It’s also hopping with activity. Finally,there’s Lunenburg. To arrive by water is to truly appreciate how much of a historic treasure this community is. Picture perfect wharfs, boats sheds, colourful houses and businesses jump out at you, reflecting off the waters of the harbour on a sunny day. Fishing and boat building established this community. It is here where the schooner Bluenose was built in 1921. I’ve yet to cruise much of the waters of the west coast, but I have greatly enjoyed my limited number of excursions and am envious of boaters who live in the Vancouver area. What’s not to love? 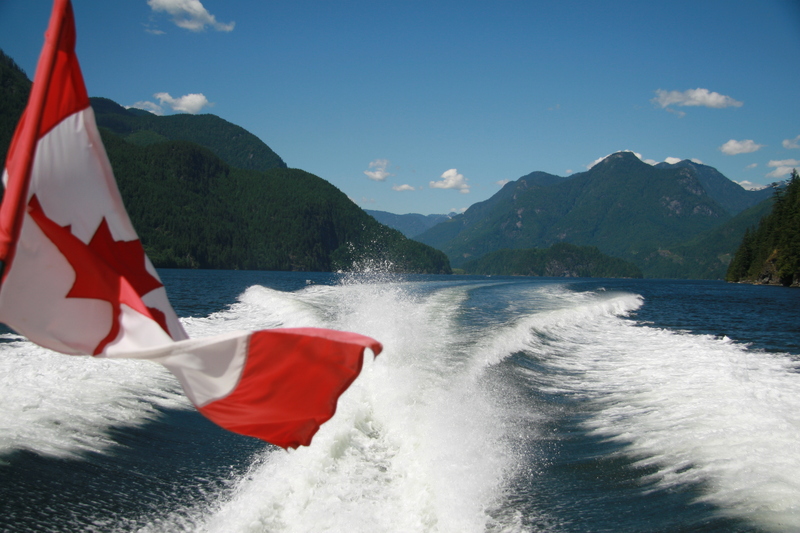 There are few places in Canada where the boating can be as diverse as in British Columbia’s Lower Mainland. You can have a complete urban boating experience in the heart of Vancouver or you can leave the city behind to explore the open waters of the coastal mountain ranges,sounds and inlets. The number one place to explore, of course, is Indian Arm, just minutes from the city. The first must-stop is Deep Cove.After docking, take your time to look out over the cove from the top of the stairs at the base of Gallant Street. You can’t tire of the view. If you do, shops and eateries await you. 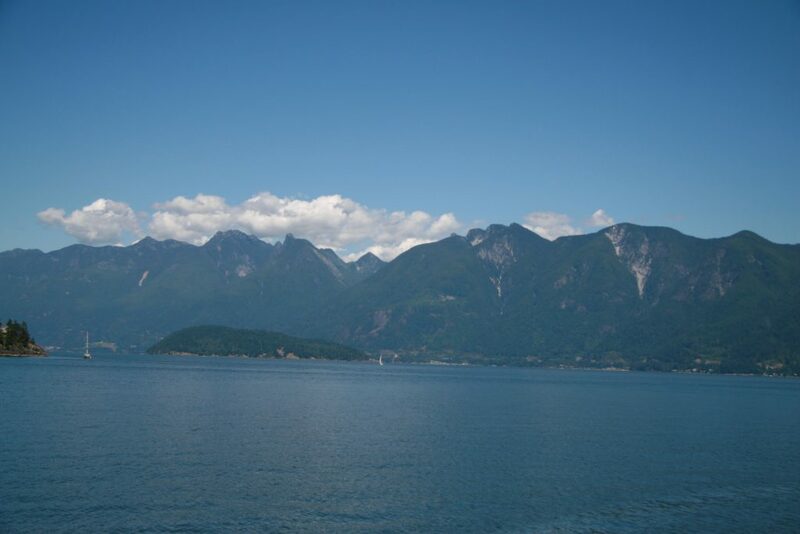 Indian Arm is a continuation of Burrard Inlet and Vancouver Harbour, heading inland for eleven nautical miles. Past Deep Cove, it’s mostly wilderness, making for a supremely scenic cruise over its entire length. The calm, sheltered waters and proximity to Vancouver make this a great destination. Leaving Vancouver for Howe Sound the first time will leave a lasting impression. After passing Stanley Park and going under the Lions Gate Bridge,looking back at the view of the city skyline and Mount Baker’s snow capped peak is locked in my memory forever. Heading for Howe Sound, one has to detour through Fisherman’s Cove and Eagle Harbour. It’s busy, full of sail and powerboats and waterfront homes. Don’t miss the Troll House on Eagle Island. When it’s time to eat, head directly to Horseshoe Bay, home of the BC Ferry Terminal. There you’ll find several choices. Dockside, the view out of the bay is stunning. 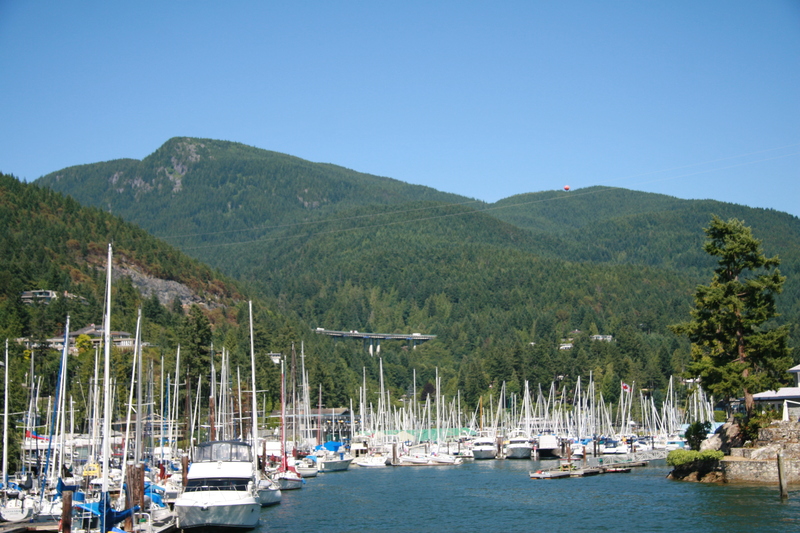 You can make stops in the communities of Snug Cove on Bowen Island or Town of Gibsons. If you are old enough you will know why. I highly recommend cruising up and around Gambler Island and making stops at the marine parks is the best way to experience Howe Sound. Being on the water with the coastal mountains plunging into the water and a gorgeous vista in every direction truly moves you. 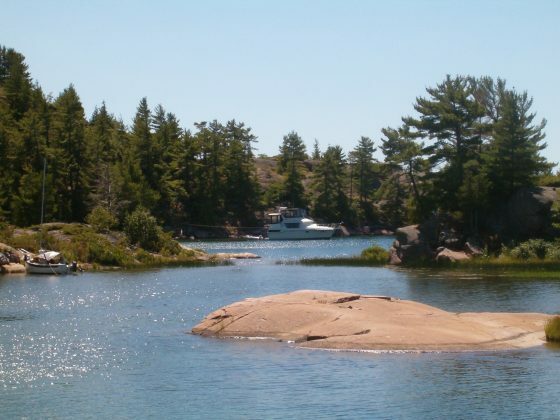 The North Channel and Georgian Bay are known as one of the most pristine cruising grounds in the world, and they are. The North Channel is wilderness cruising at its finest, accessible to thousands of boaters. It’s a vast area stretching from Killarney in the east, protected by Manitoulin Island to the north and St. Mary River in the west. It’s a lot of water to cover, I know, I’ve cruised every kilometre of it, however my favourite spots in the Channel are all found in the eastern end from Killarney to Oak Bay. This is truly the most scenic and popular area. What’s great about these waters, bays and islands is its accessibility. While dominated by cruising boaters there are jumping off points for trailer boats, too. Primarily Killarney and Little Current. A great day trip from Killarney takes you to Covered Portage Cove then around to Baie Fine with mandatory stops at Mary Ann Cove and the Pool. This entire route is dominated by the spectacular La Cloche Mountains – a spectacular sight with the sun glinting off the white quartz mountains. North of Little Current is the retail and service centre of Manitoulin Island. It is a 30-kilometre run to the number one destination in the North Channel – the Benjamin Islands. 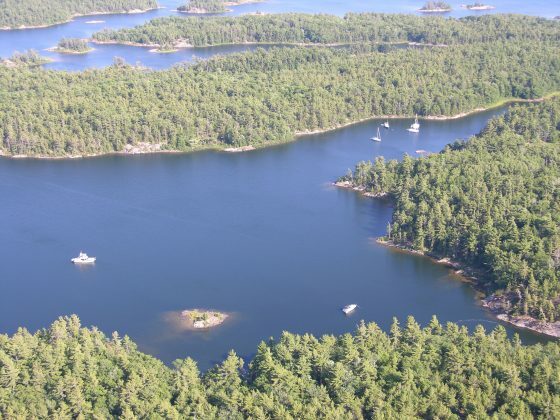 The group is made up of Croker, North and South Benjamin and Fox Islands. The glacial scoured rock, quartzite and pink granite is stunning and quite beautiful at sunset. Many people take advantage of the terrain to spend time ashore exploring. If you have the chance, head ashore on South Benjamin and climb the hill to enjoy one of the most impressive views in the channel. Returning to the North Channel is definitely on my list. This is my favourite boating destination – okay, I’m biased. For many years, these have been my home waters to explore on weekends or at anchor on vacations. I’ve also travelled the small craft route, visiting every anchorage, passage, channel and community while filming and scripting two versions of our Discover Cruising videos on the region. While enjoyed up close and personal from the water, my first run filming Georgian Bay in its entirety was from a low flying helicopter and it left me in awe. One clearly sees its majesty, its scenery and its challenges: the rocks and shoals. It is almost surprising that we can boat here. 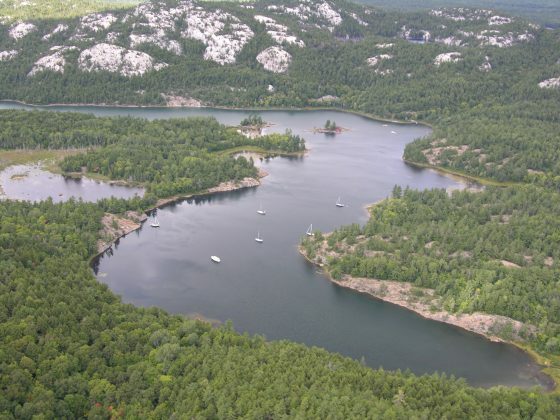 The glacial scoured rock of the Canadian Shield along its shores is a landscape like no other. Obviously with 30,000 islands and a run of some 280 kilometres along the small craft route from Port Severn to Killarney, there are multitudes of options for cruising and anchoring. Here are a few that I really enjoy. If you have kids, Beausoleil Island National Park is ideal. 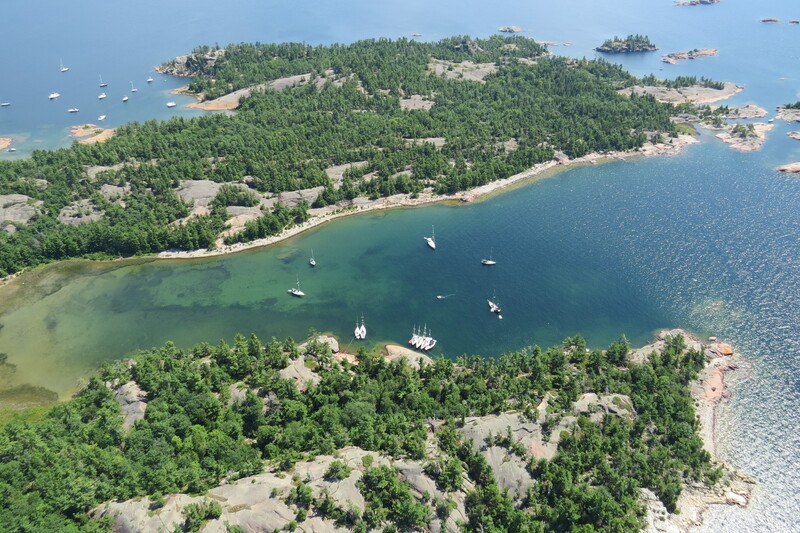 You can enjoy anchoring off sandy beaches or in rocky bays. 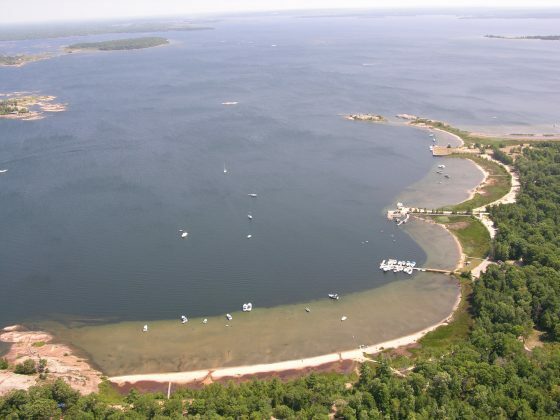 The park offers docks in multiple locations and facilities on shore. 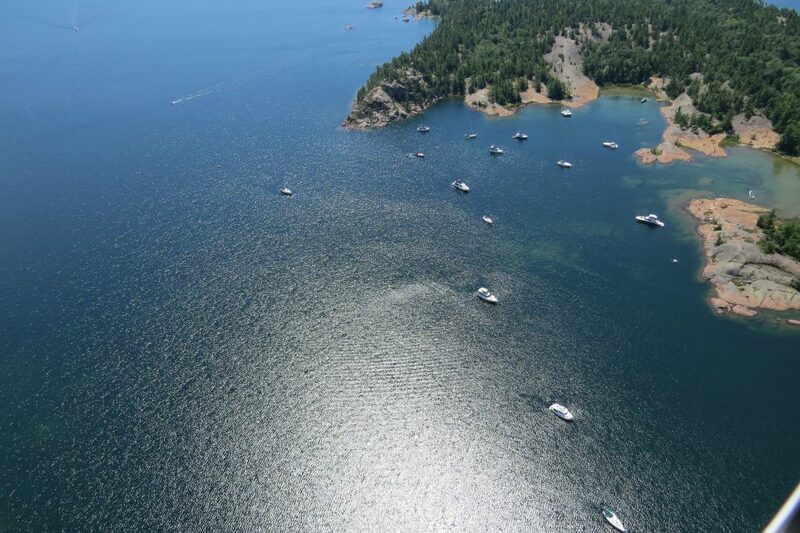 If you only have the weekend to get out, within one hour of the major marinas are great anchorages. Webber Island, Brown’s Bay, Longuissa Bay and Bone Island (for a long weekend or an extended vacation) make great destinations. The anchorages of the Moon River and The Massassauga Provincial Park are only a few hours further north. One could anchor out in a different location in the park every weekend of the season and still not get to all of them. Heading north, I highly recommend a stop in Shark Bay, Windsor Island, offshore from the more popular Franklin Island. It’s tough to get into, but scenic, remote and peaceful. 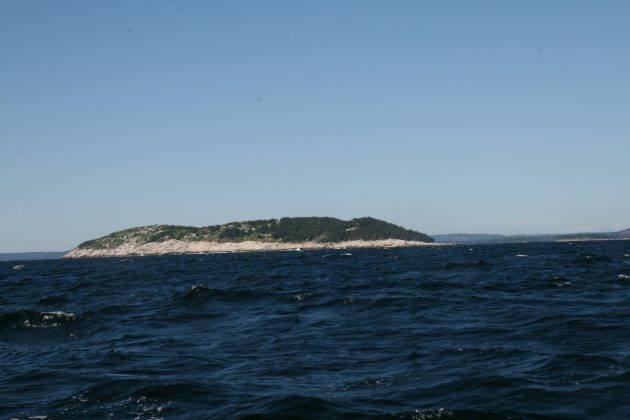 The Bustard Islands, lying offshore of the French River area, are the most popular destination anchorages on this section of the small craft route. Boaters from all around Georgian Bay and beyond make this group of islands a “must visit” destination each and every summer. This is truly my home. 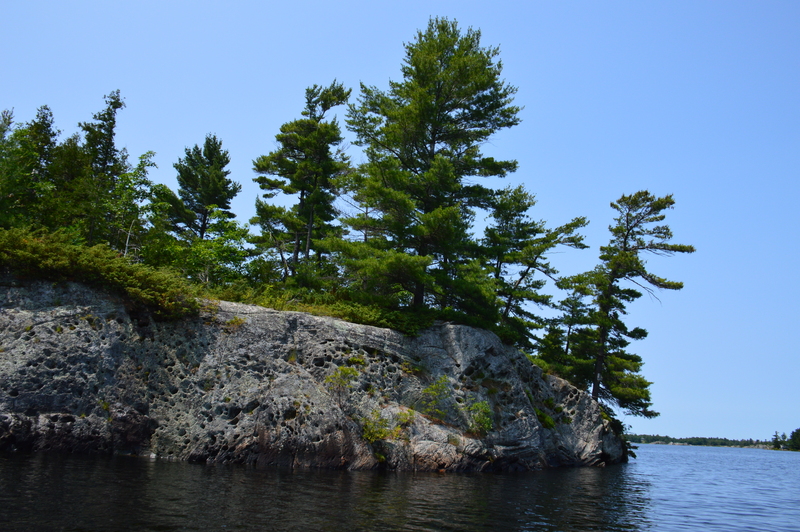 So much so that framed photos of the 30,000 Islands can be found in my den along with a wind swept pine tree etched in Georgian Bay granite. To continually remind Lisa and me of our time on the waters, several Tom Thompson prints can be found in our home. Arriving at this list was a tough task. There are so many boating opportunities and destinations that are available across Canada so narrowing them down is hard. One’s choices are also influenced by the style of boating you partake in. If you have the time, send us your list of favourites and possibly our Boats&Places and PowerBoat Television crew might feature one. This destination is featured in the Spring 2016 issue of Boats&Places and in Episode 12 of the 2016 season of PowerBoat Television. Northwest Territories: The True North Strong and Free!